I tell my excel school students that learning VLOOKUP formulas will change your basic approach towards data. You will suddenly feel that you have discovered a superman cape in your attic. It is that awesome. 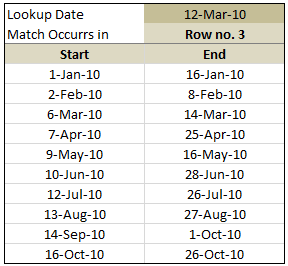 Read more – What is VLOOKUP formula and how to use it? VLOOKUP may not make you tall, rich and famous, but learning it can certainly give you wings. It makes you to connect two different tabular lists and saves a ton of time. In my opinion understanding VLOOKUP, OFFSET and MATCH worksheet formulas can transform you from normal excel user to a data processing beast. How to do wildcard searches with VLOOKUP? You can use wildcard characters * and ? with VLOOKUP & several other Excel formulas. For eg. If you have lots of data, but the value you want to look up needs to change based on whims and fancies of your users, then you can resort to a cocktail. A mix of VLOOKUP with Drop down lists (Data validation). How to lookup values to the left? How to lookup based on multiple conditions? Not always we want to lookup values based on one search parameter. For eg. Imagine you have data like below and you want to find how much sales Joseph made in January 2007 in North region for product “Fast car”? Read more to find how to solve this. 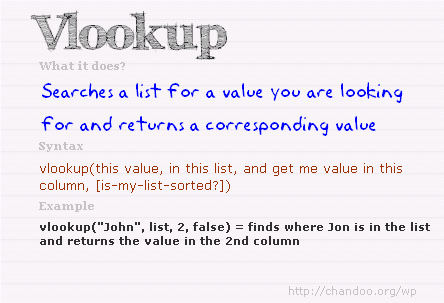 Read more – How to lookup based on multiple conditions? How to get values from multiple columns with VLOOKUP? VLOOKUP is great for extracting information from a huge data table based on what you are looking for. But what if you need to extract more than one column of information? For eg. Lets say you have salesperson’s name in left most column, and monthly sales figures in next columns, one for each month. Now, you want to find the total sales made by a given sales person. How do you go about it? 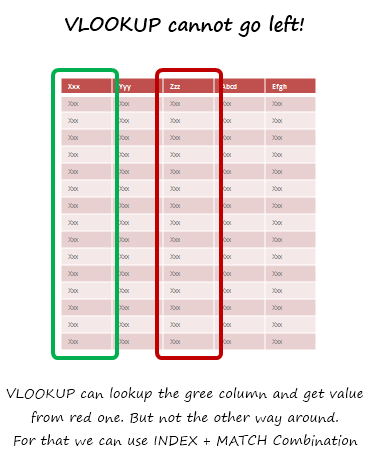 Read more – How to get values from multiple columns with VLOOKUP? Excel Tables, a newly introduced feature in Excel 2007 is a very powerful way to manage & work with tabular data. I really like tables feature and use them often. If you are new to tables, read up Introduction to Excel Tables. In this short video, understand how to use tables with VLOOKUP formulas. So far we have seen what VLOOKUP formula is and how to put it to some nifty uses. Lets go one step further and learn how to do 2 Way Lookups. Lookup is when you find a value in one column and get the corresponding element from other columns. 2 Way Lookup is when you lookup value at the interesection of a given row & column values. Here is a really tricky problem. Recently I was given a data set like this (shown below) and asked to find the position of lookup value in the list. The only glitch is that, instead of values, the lookup table contained lower and upper boundaries of the values. See the below illustration to understand the situation. In this case, how do you lookup? Ok, you have learned how to write vlookup formulas. You have also seen some pretty interesting examples of it.